Description: This cute and cozy unit is located within blocks of the americana outdoor mall, as well as downtown glendale. There are numerous restaurants, shops and boutiques within walking distance. Perfect location for those looking to be a few minutes from the freeway and near the city center. This unit is perfect for a first time buyer looking to enter the housing market. 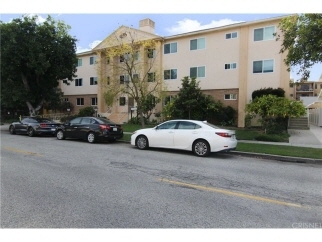 This unit would also make an excellent investment property for those seeking to ad to their portfolio. Inside you will find contemporary kitchen counter tops, ample closet space with a large walk-in closet in the bedroom, extra space in secondary closets, a linen storage area adjacent to the walk-in, plantation shutters throughout and a pet friendly environment makes this one of the best values on the market. The floor plan is open and functional. By now you may be thinking, "this unit will not last." Well, you would be correct. Visit tour link for photos of surrounding neighborhood attractions. Call today for an appointment.